Intel League will start the week of September 17th (2018), 18th, 19th and 20th; this is the traditional INTEL season commonly thought of as Winter but due to referee shortage and gym time issues was moved (two years ago and again this year) to start in September. This particular season will start September 17th. We will take a break for the entire Thanksgiving week. Teams will have played 10 games before that (Thanksgiving break); we will return after Thanksgiving week to play 2 more weeks as your game 11 and final game 12 (the weeks for games 11 & 12 are December 3rd, 10th). The entire league play is Intel-only teams and the Tournament of course is Intel-only teams. Winners of each division (Champions of the tournament)- will be given basketball jerseys as the award. The championship will occur on the week of December 17th (the entire season will be complete/over by December 20th). Note about total games- your 12th game is a playoff game and everyone makes the playoffs; if you win- you would get another game (a 13th game). Schedules will be posted for the entire season but that schedule will not be posted until Thursday September 14th. Any questions- best to text 5035978819 for quickest response. Intel individuals- for $129 you will get 12 games minimum (up to 14 games) with 'Intel Independants'- a team that will play games on Wednesdays starting Sept 19. First seven people to pay are on this team. 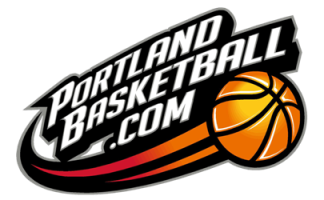 PortlandBasketball.com can start taking payments from individuals on teams- as early as August 8th, 2018. Schedules will be posted for the entire season but not be posted until Thursday September 14th. Questions- text 5035978819 for quickest response. Intel WINTER League will start the week of January 8th (2019), 10th or 11th (choose to play all of your games on the SAME day every week- choose from Mondays, Wednesdays or Thursdays); teams will get 10 games minimum for $730. Your first 9 games are regular season games on the day you choose to play; then- your 10th game is a playoff game on a Wednesday night- Versus mostly Portland Basketball teams (unlike the main Fall season where it is just Intel teams (so you can plan ahead, this 10th game/playoff game is on Wednesday March 14th, 2018 at 8:30pm at Beaverton Hoop on court #4. This playoff game is your 10th game; if you win, you will play an 11th game which is a Championship game, the same night at 9:25pm on court #2 (we need to get this Championship game in as a double-header on Wednesday March 14th so as to avoid having any games over Spring Break 2018). Restated- the entire season will be complete/over by March 14th, 2018. Any questions text 5035978819. Intel individuals- for $119 you will get 10 to 11 games with the 'Intel Independants'- a team that will play all games on Wednesdays starting January 10th, 2019. Intel SPRING League will start the week of April 8nd 2019, 10th or 11th 2019 (choose to play all of your games on the same day- either Mondays, Wednesdays or Thursdays); teams will get 8 games minimum for $585. Your first 7 games are regular season games on the day you choose to play; then- your 8th game is a playoff game on a Wednesday night- with Intel teams only (so you can plan ahead, this 8th game/playoff game is on Wednesday May 29nd, 2019 at 8:30pm at Beaverton Hoop on court #4. The playoff game is your 8th game; if you win, you will play an 9th game (a Championship game the following Wednesday night June 5th- also at the Hoop, also on court #4). Any questions text 5035978819. Intel individuals- for $89.50 you will get 8 games Minimum with the 'Intel Independants'- a team that will play all games on Wednesdays starting April 10th, 2019. Intel SUMMER League will start the week of June 11th (2018), 13th or 14th (choose to play your games - all on the same day- Mondays, Wednesdays or Thursdays). Teams will get 10 games minimum for $730. Your first 9 games are regular season games on the day you choose to play; then, your 10th game is a playoff game on a Wednesday night- with Intel teams only. This playoff game (so you can plan ahead) is Wednesday August 15th, 2018 game time 9:25pm at Beaverton Hoop. This playoff game is your 10th game; if you win, you will play an 11th game (a Championship game the following Wednesday night August 22th- also at the Hoop. Any questions text 5035978819.